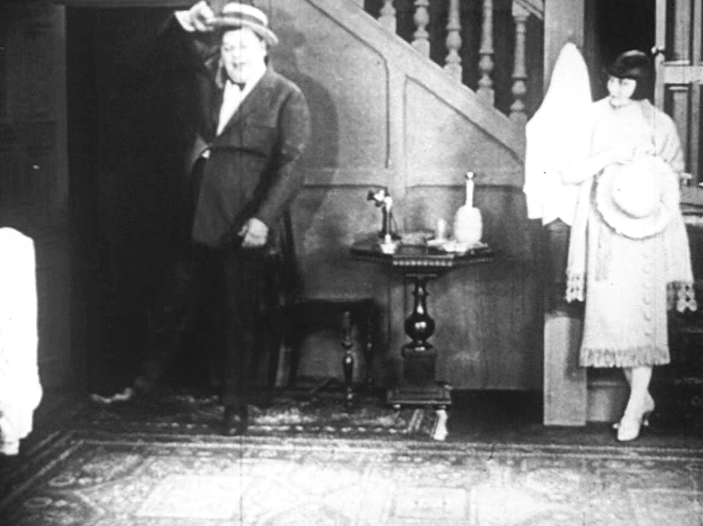 Roscoe Arbuckle prepares to ask Mary Thurman to marry him. In 1920, comedian Roscoe “Fatty” Arbuckle made a movie that was banned in the United States, and wasn’t shown to an American audience until 1981. It wasn’t the subject matter of the movie that brought about the ban. It was Arbuckle’s unfortunate circumstance; he was arrested for murder shortly after filming wrapped. Because of the arrest, all of Arbuckle’s films were banned by the Motion Picture Producers and Distributors of America (MPPDA). The case went to trial three times without a conviction. Arbuckle himself was spared, but his career was not. The MPPDA ban and unfavourable popular opinion meant he was never able to star in a film again. This last movie Arbuckle starred in was Leap Year, a farce about a well-meaning and wealthy young man who keeps giving women the impression he wants to marry them. We can guess what you’re thinking: Arbuckle does not have the traditional leading-man looks or physique. But as you watch the film, you see he is funny and charming, and you can understand why so many women fall for him. The one woman, though, who has stolen Arbuckle’s heart is Mary Thurman, a nurse who cared for Arbuckle’s ailing uncle and was fired by said uncle because he didn’t like her haircut. Arbuckle truly is the star here, and he makes acting look effortless. He is surprisingly agile and appears to be very strong. In one scene, he is golfing – with a club that resembles a hockey stick – and, when he is finished, he shoves his giant clubs and his junior caddy in his golf bag, and carries them with one hand as he strides off the course. Everything about Leap Year is cheeky. The title cards include playful commentary and very witty lines. There are, of course, lots of great sight gags. For example, several of Arbuckle’s would-be fiancés move into his large house, each unaware of the others’ presence; these poor women keep entering rooms just as another is exiting. This is a premise we have seen many times in movies, but it would still be fresh material in the early 1920s. Leap Year is so much fun, you’ll forget that you’re watching a silent picture. It pokes fun at infatuation, misplaced loyalties and the way many of us behave in a relationship. It’s a film that everyone can enjoy after an unnecessary 60-year absence. Leap Year: starring Roscoe “Fatty” Arbuckle, Mary Thurman. Directed by James Cruze. Written by Walter Woods (adaptation) and Sarah Y. Mason (story). Paramount Pictures, 1921, B&W, 60 mins. Ha ha! Will does have a contagious love of the silents. Leap Year is so much fun. I felt a bit sad that it was over so quickly. The first I ever heard of Mr. Arbuckle was in last year’s “Gone Too Soon” blogathon. His story is very tragic and heartbreaking!! It is a tragic story. Arbuckle may not have had an illustrious career for decades to come, but to have it cut short so abruptly, under dubious circumstances, is a real shame. I am so excited about about “Leap Year”! I have always enjoyed the Arbuckle films that I have seen, but don’t often know which ones to see. I bought a collection of his films and am thrilled to discover that “Leap Year” is in the set. I most assuredly will be watching this one soon. Thanks for the inspiration. You have a set of his films? Nice going! Yes, please watch “Leap Year” – I’d be keen to read your review. Thank you for bringing this t our attention. Poor Roscoe (he hated being called Fatty). There is an HBO film in development about him – I hope they do the man justice. Really? An HBO film? Good. That will draw more attention to his work – if they do it properly, that is. Interesting selection. I haven’t seen many of his films and it’s fascinating that it took 50 years for one of them to be shown in the U.S.
Isn’t it a shame it took so long for it to be shown to American audiences? 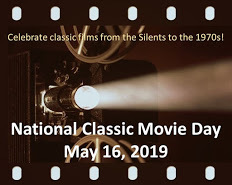 When you consider some of the poorly-made movies that are shown in theatres and then regularly on television, it’s a shame that this funny little satire was out of circulation for decades. Thanks for the love for Mr. Arbuckle! He still needs the help. Sigh. And people wonder why I don’t watch TV. Arbuckle may not have been a saint, but I don’t think he was guilty of the incident for which he was tried. It is a real shame that he is more remembered for that, than for his considerable talent. Ruth, I’d heard about how Arbuckle’s name had been so unfairly dragged through the mud. It’s frustrating that after all these years, there are still so many people who don’t know the real facts of the case. I’m glad you wrote about LEAP YEAR to help set the record straight – besides, it sounds hilarious! BRAVA to you for helping Our Man Roscoe get his good name back, even after all these years! I’ve only seen one or two Fatty Arbuckle films (in a film class long ago), so I wasn’t familiar with LEAP YEAR. That made your post all the more fascinating. I remember first reading about his legal problems in the Kenneth Anger’s notorious book HOLLYWOOD BABYLON. Ah, yes “Hollywood Babylon” is quite the book, isn’t it? “Leap Year” is really worth it if you every have the chance to see it.